Who Had Access to Flight Manifests on 9/11? 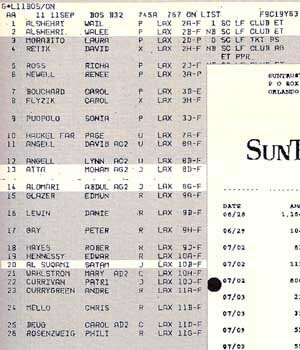 When was the List of Alleged Hijackers Finalized? What about the Security Videos? Referring to “victim lists” as if they were “passenger lists” would be significantly misleading. The CNN website frequently cited reveals that the alleged hijackers were intentionally not included. 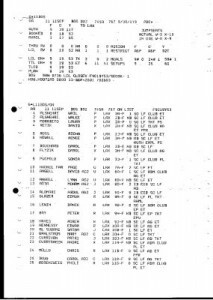 The Complete 9/11 Timeline also cites “Terry McDermott’s 2005 book, Perfect Soldiers… Names of the five hijackers [on the manifest] are highlighted.”  McDermott apparently got these images and other material from the FBI, but 9/11 blogger and researcher Reprehensor claims, “When [Elias] Davidsson tried to get the manifests via FOIA, he was denied [access].”  These printouts are criticized by Elias Davidsson who says that, “these printouts contain no authentication and were not accompanied by chain-of-custody reports. These lists were released discreetly, without comments or indication as to their source… the FBI and the airlines have consistently refused and continue to refuse to release the authentic, original, passenger lists and flight manifests, of the four 9/11 flights… As the names of all victims and alleged hijackers have been publicized within days after 9/11, privacy considerations cannot explain the refusal to simply confirm—by releasing the original, authentic, documents—what has been publicly asserted since 9/11.”  In other words, the authenticity of these documents have been questioned by some 9/11 researchers. What is striking about official reports is that it took several days to confirm the total number of hijackers. 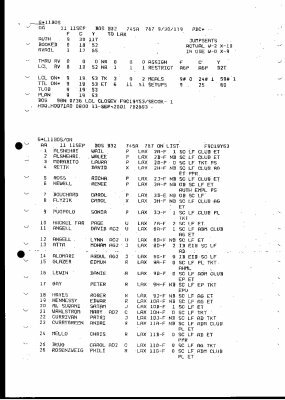 There is no explanation why someone named “Mosear Caned” was placed on a list of Hijackers and why he was replaced by Hani Hanjour. 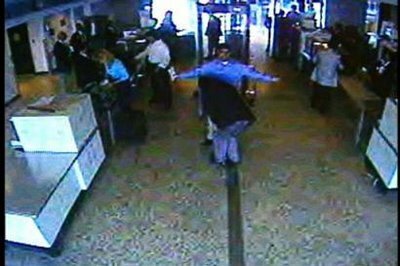 The explanation given for Hanjour’s absense from the initial list of suspects was that Hanjour “was not on the flight manifest.”  This cannot be the case however, because Hanjour’s name appears on the flight manifests provided in the Moussaoui trial. This is a clear contradiction that must be explained. Denise Lavoie, Company helps 9/11 probe after losing one of its own, Associated Press. September 11, 2002. Thomas Pynchon, Gravity’s Rainbow, page 251.